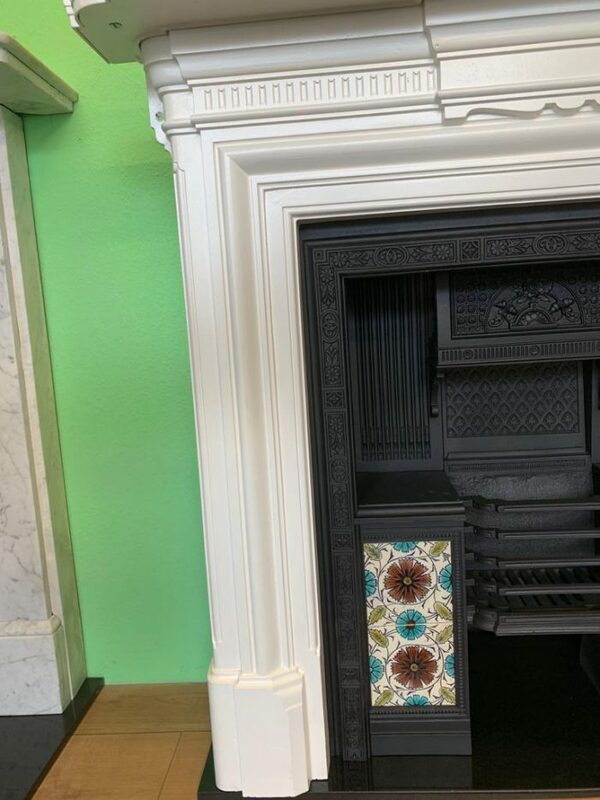 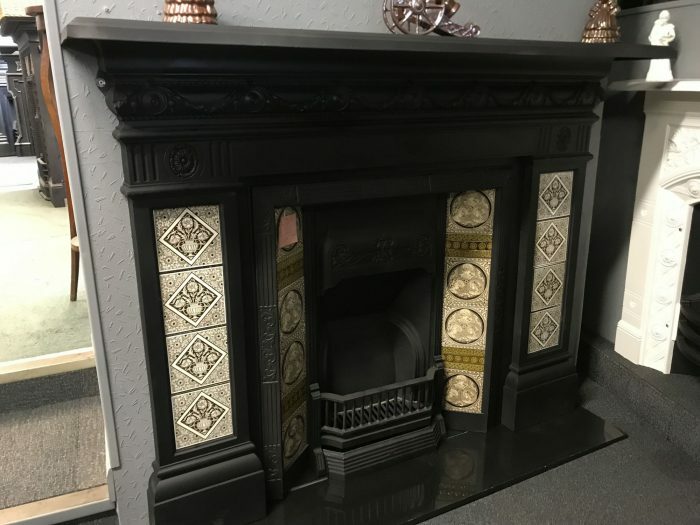 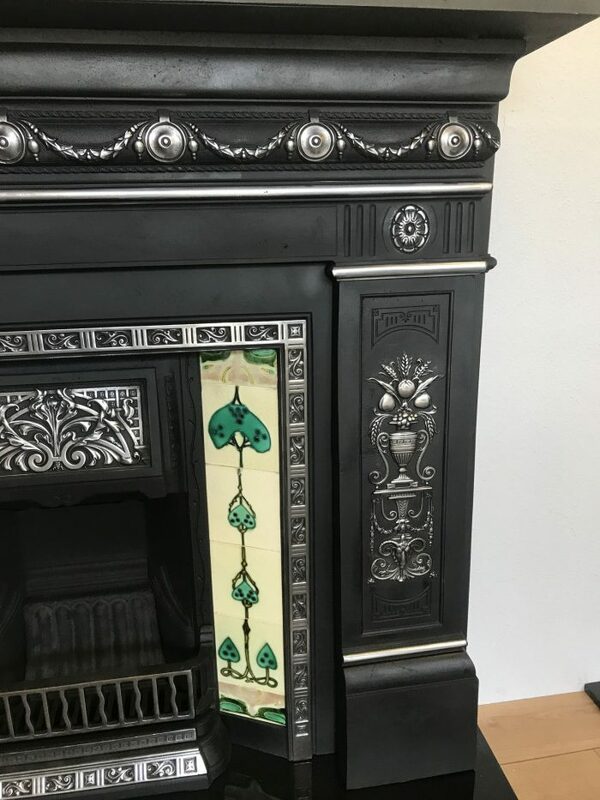 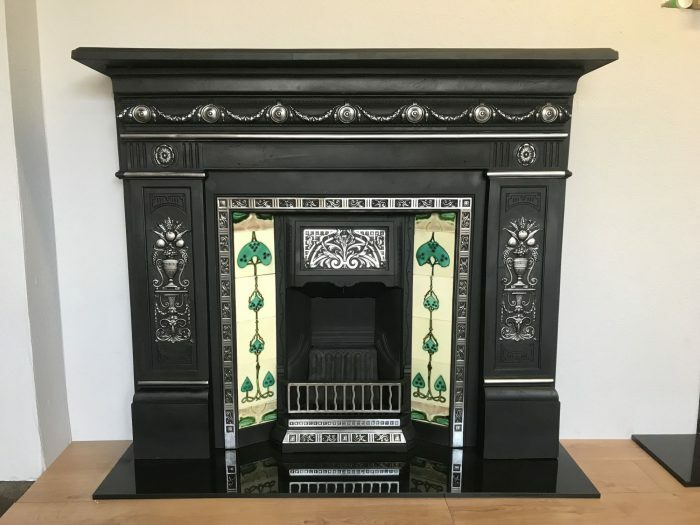 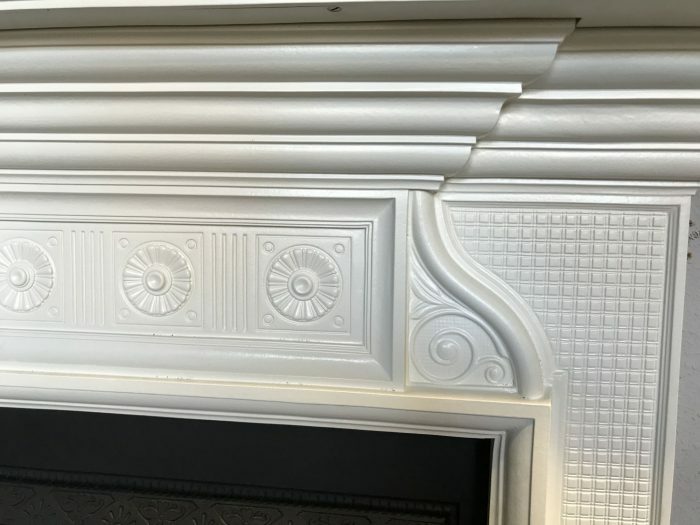 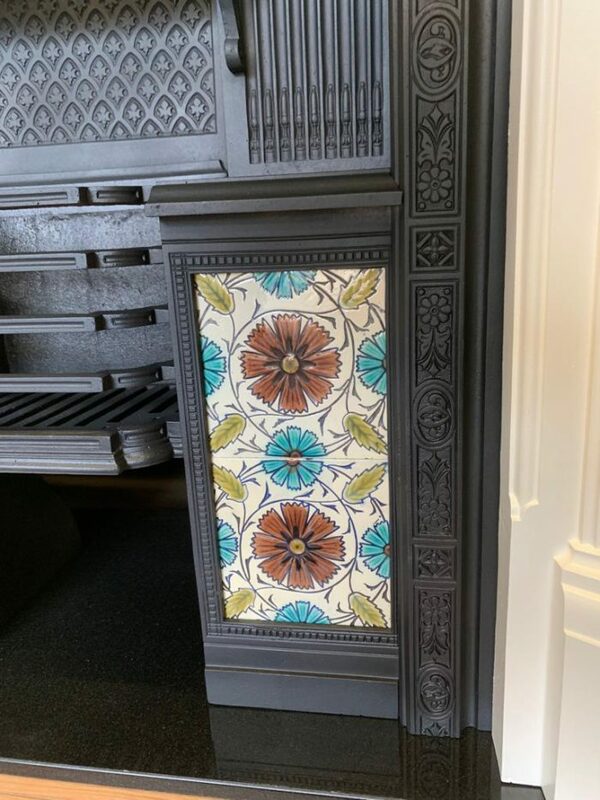 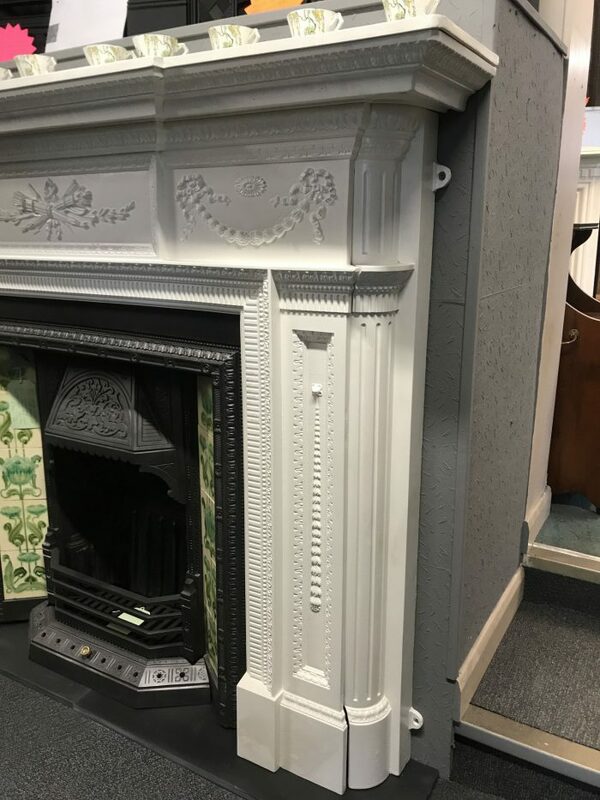 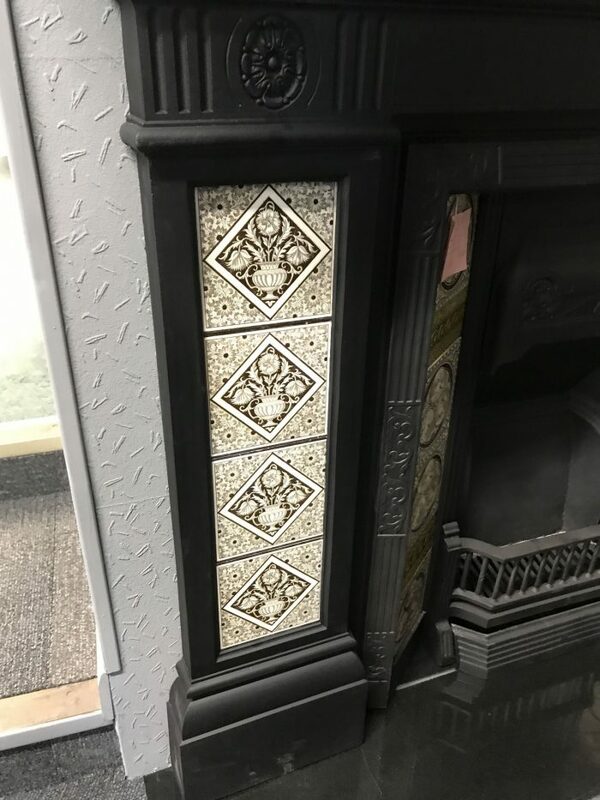 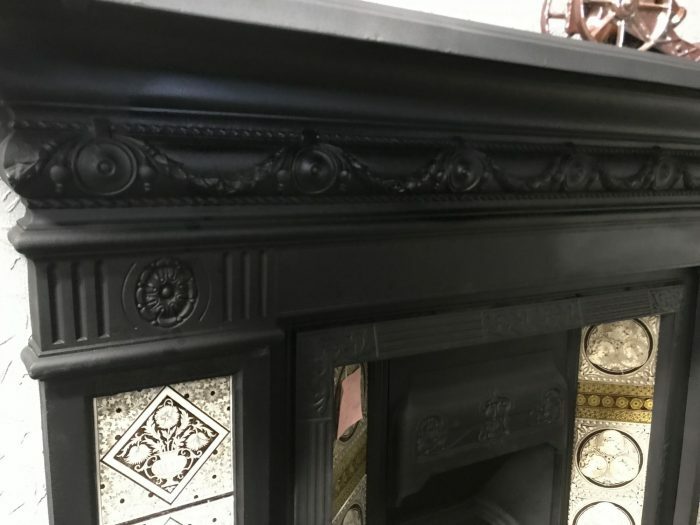 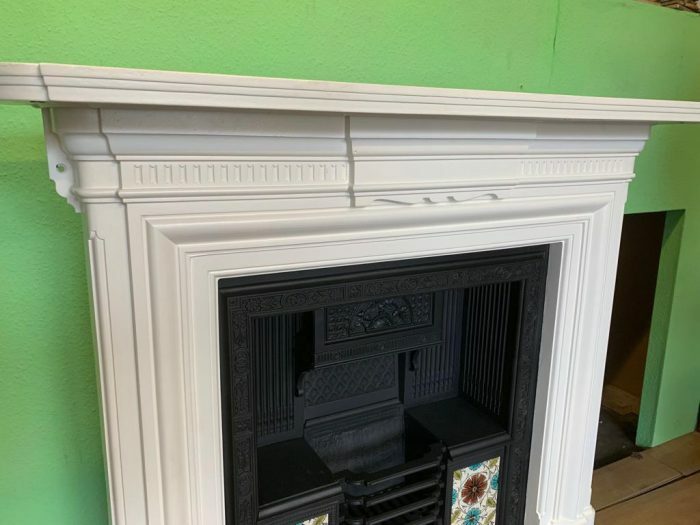 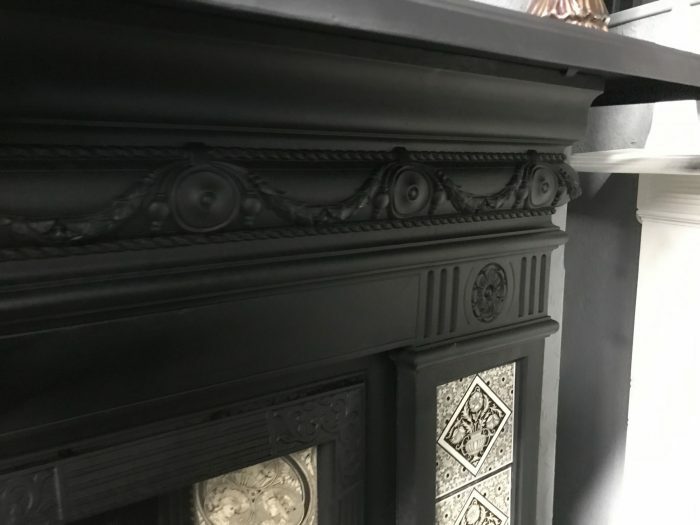 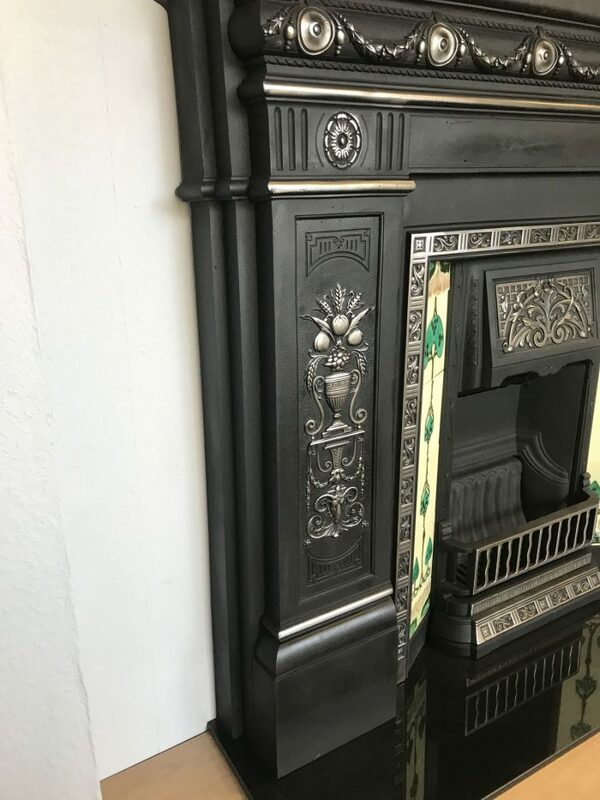 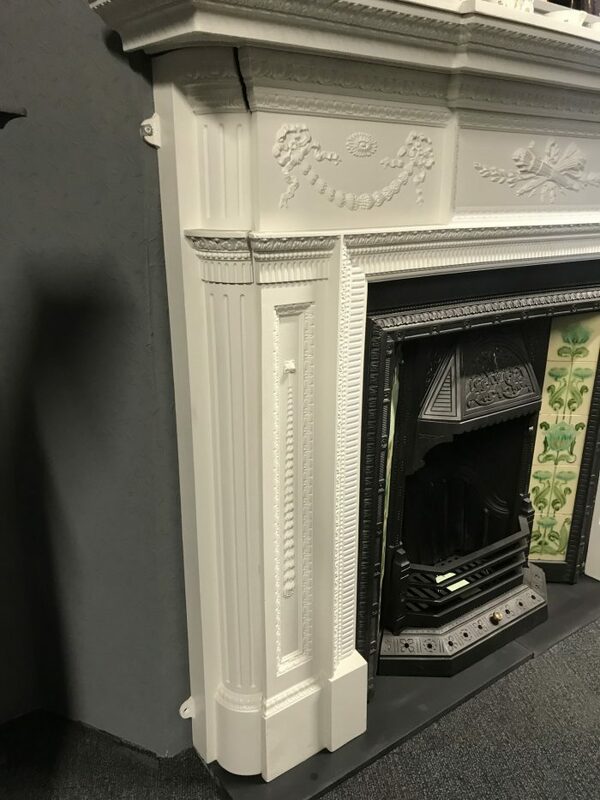 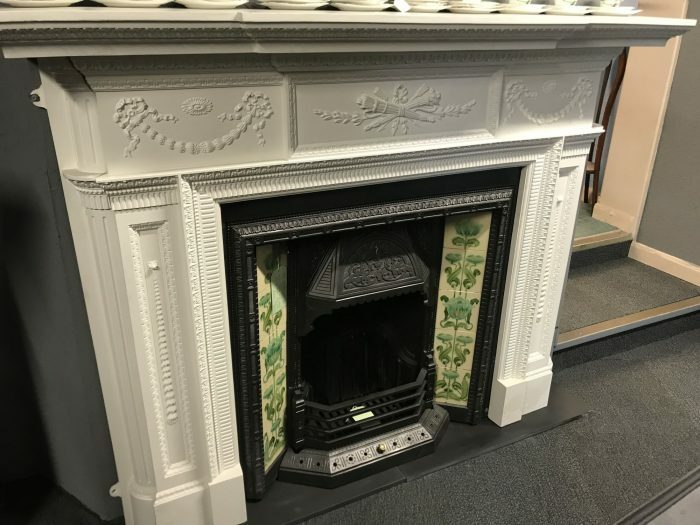 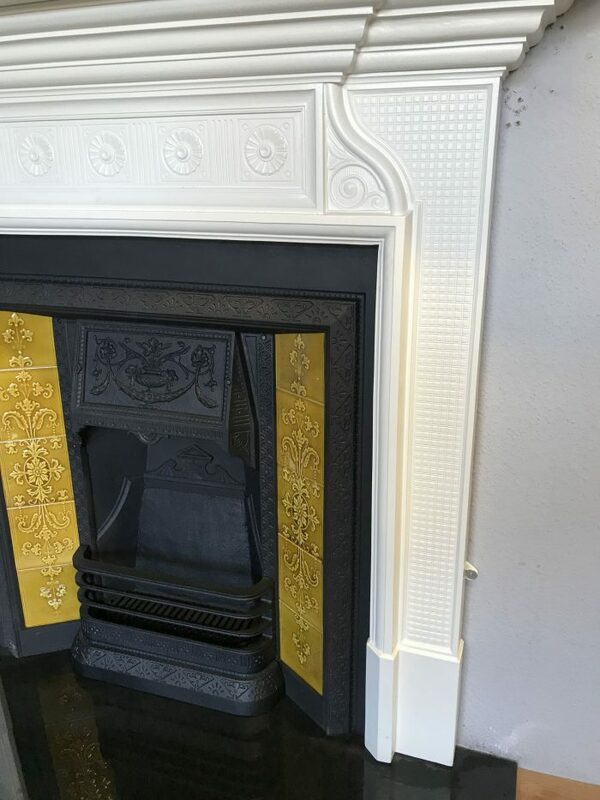 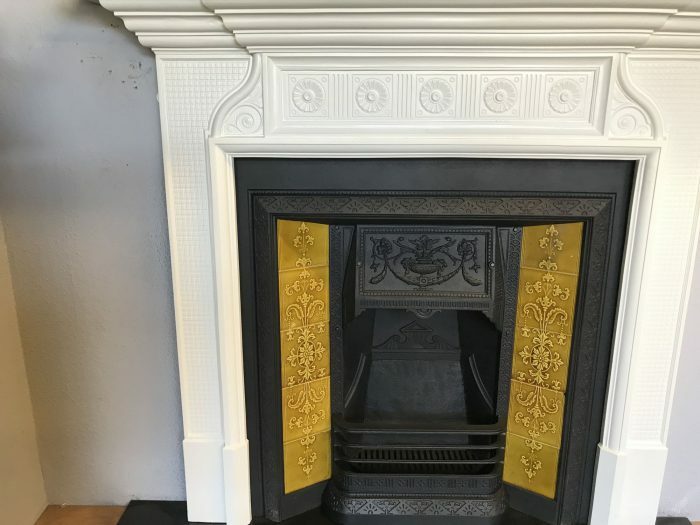 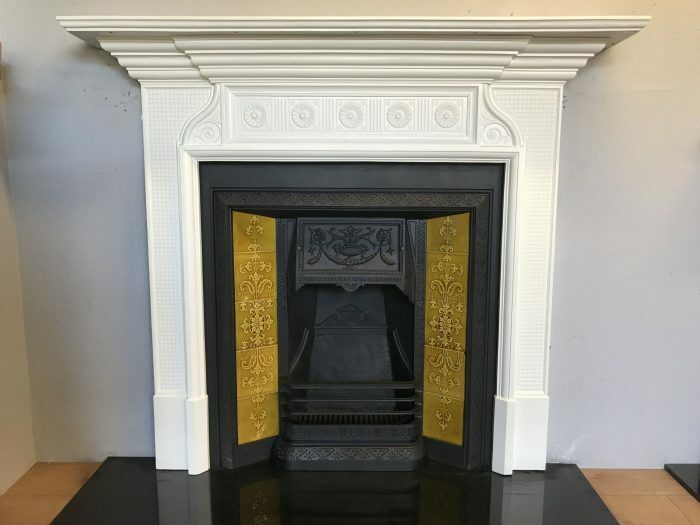 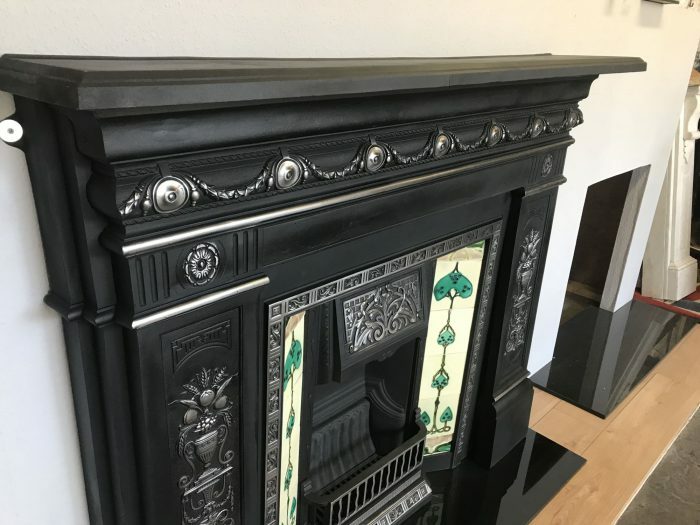 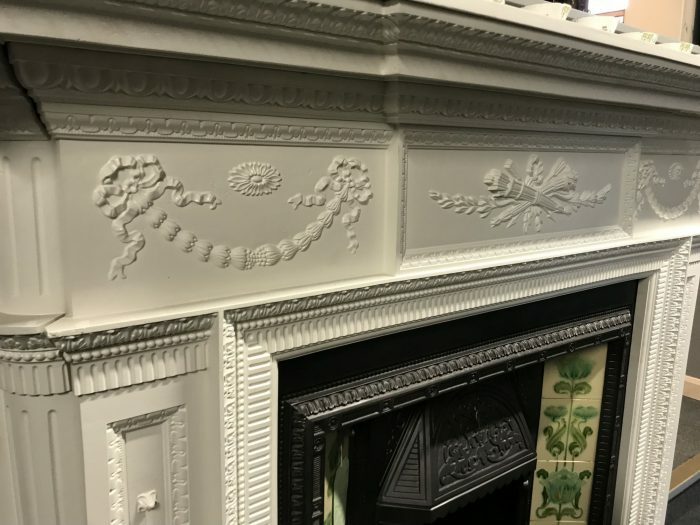 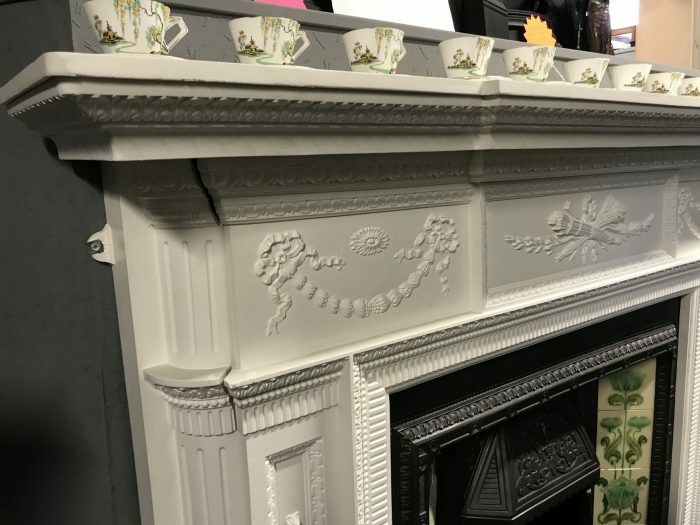 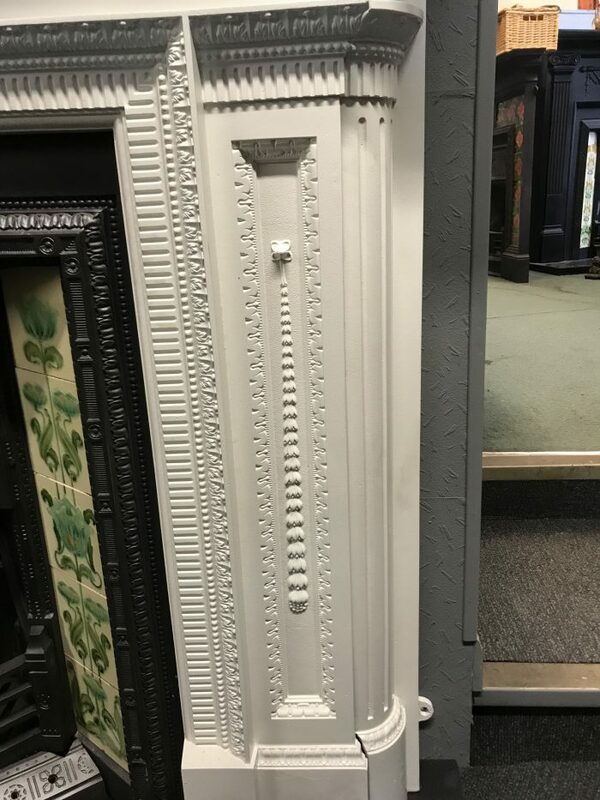 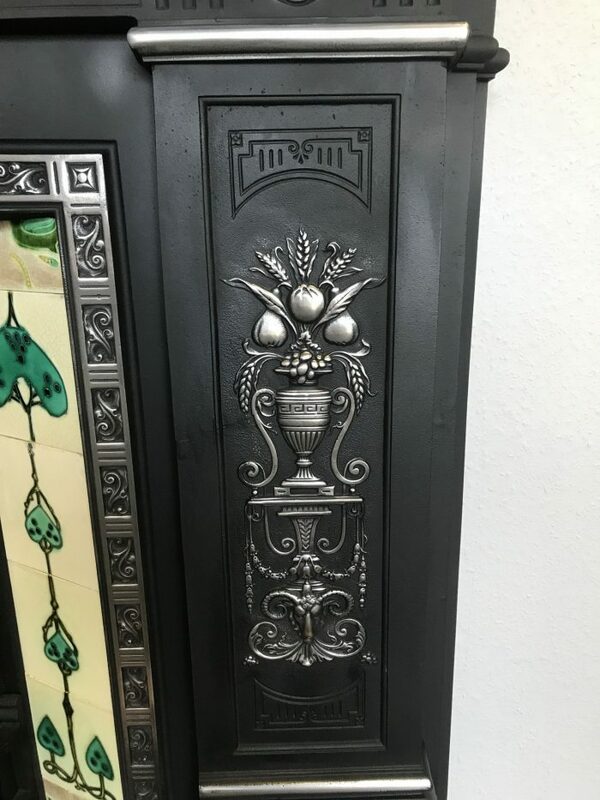 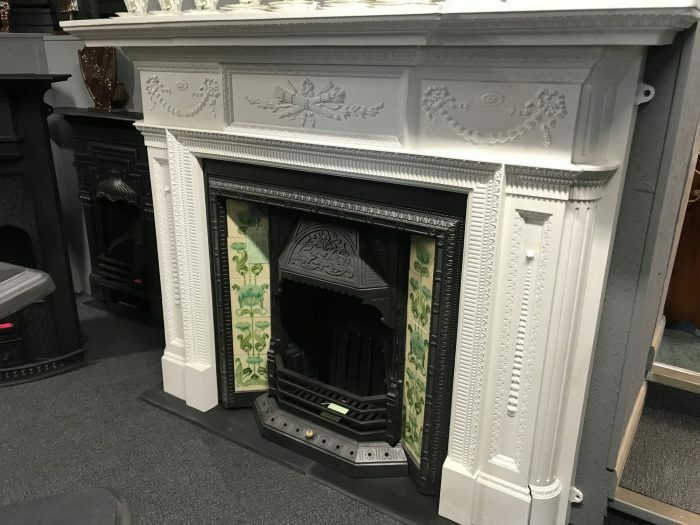 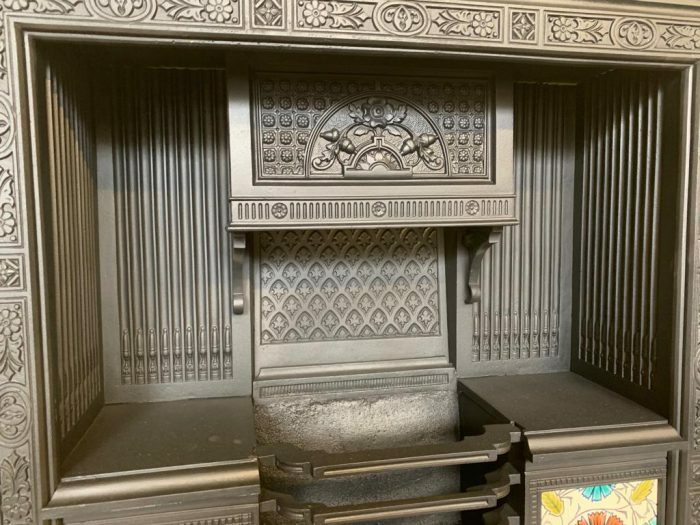 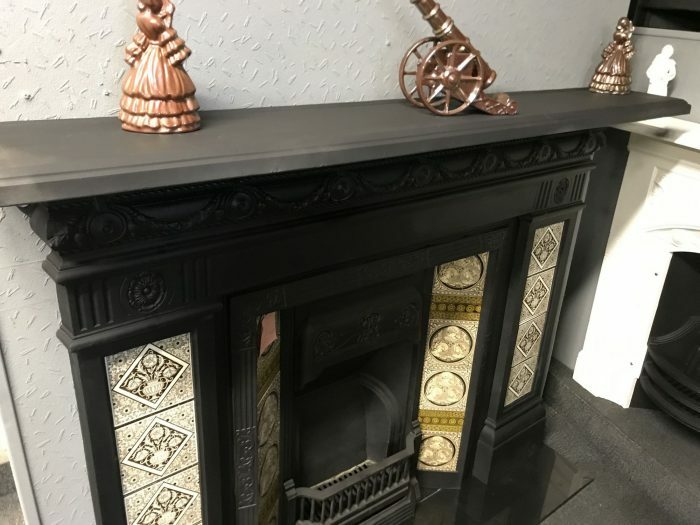 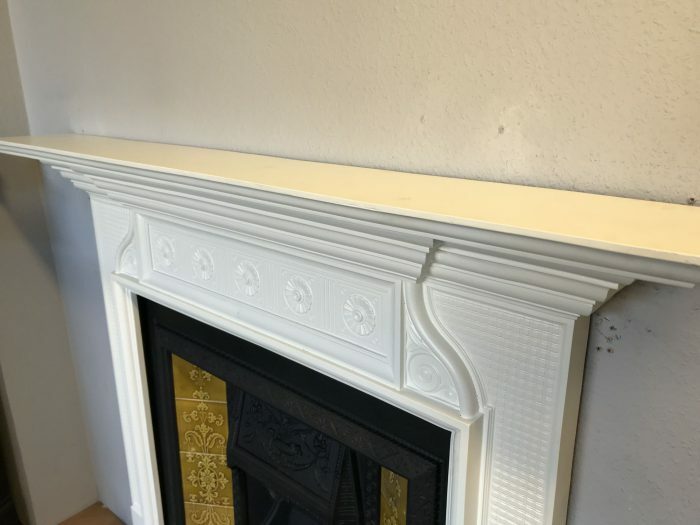 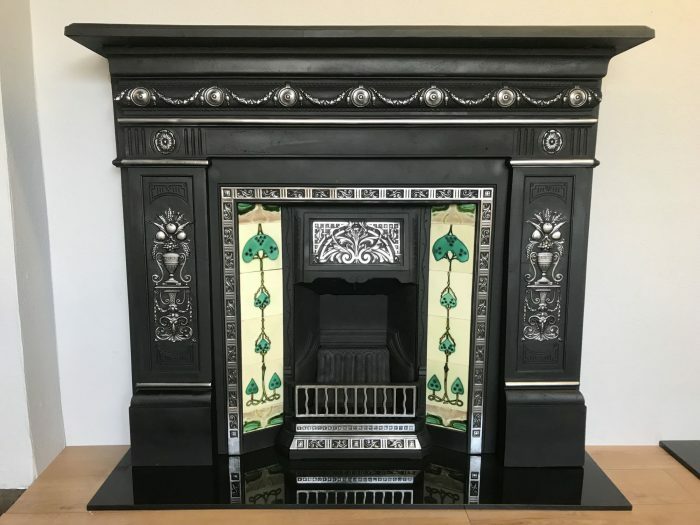 a very nice highlighted cast iron surround with rd number 265652 dated 1895.
a very nice powder coated Victorian cast iron surround with rd number 265036 dated 1895. 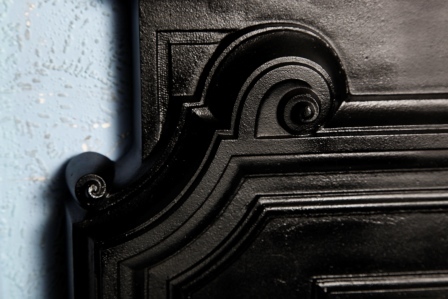 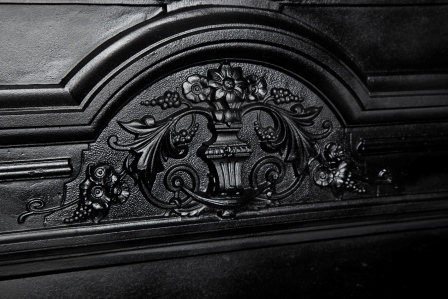 Powder coat cast iron surround circa 1890. 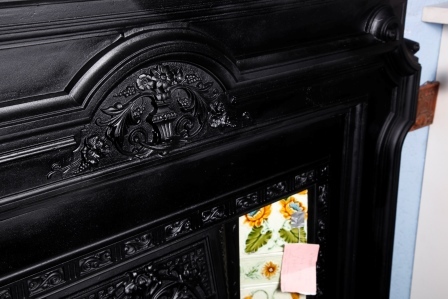 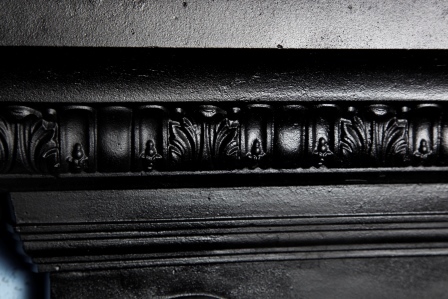 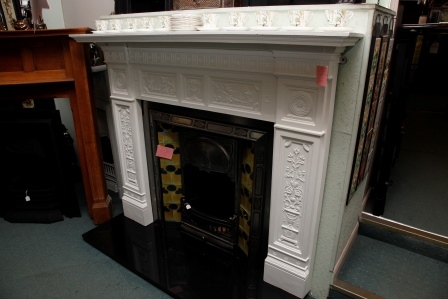 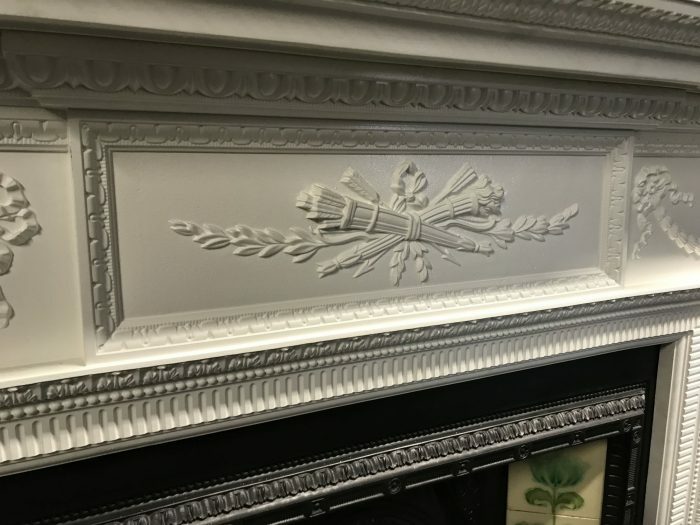 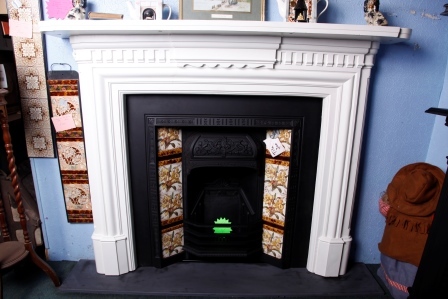 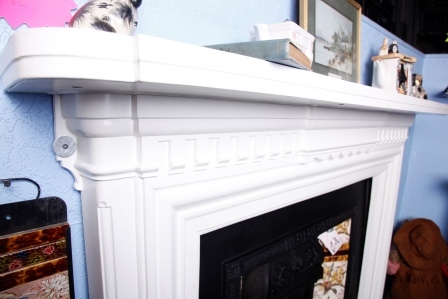 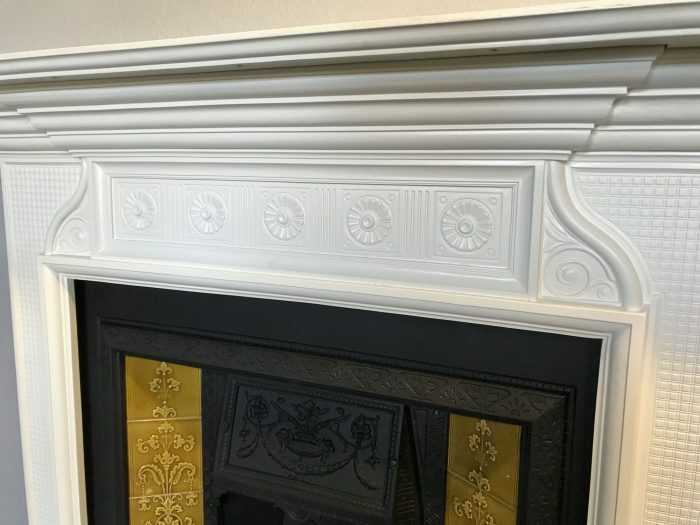 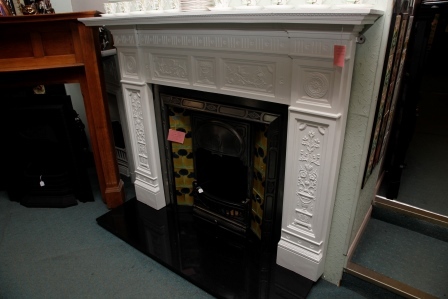 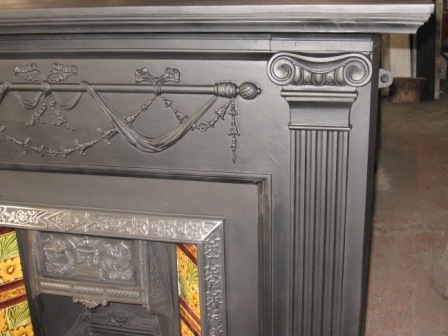 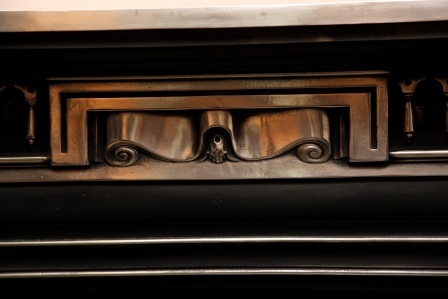 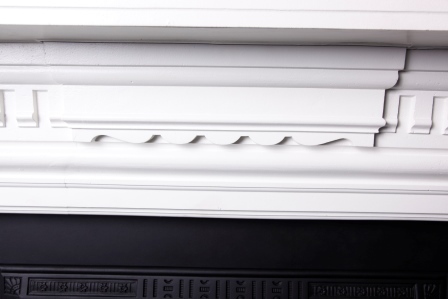 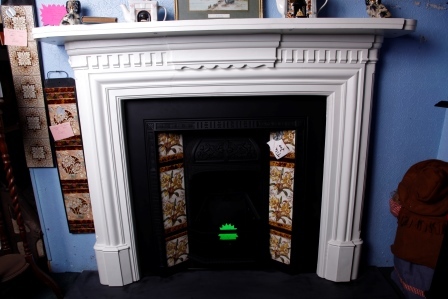 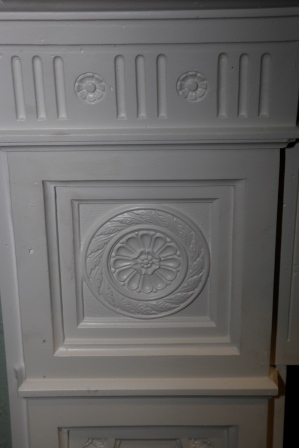 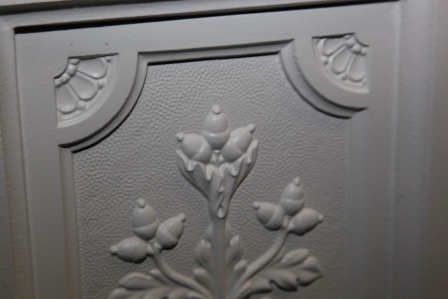 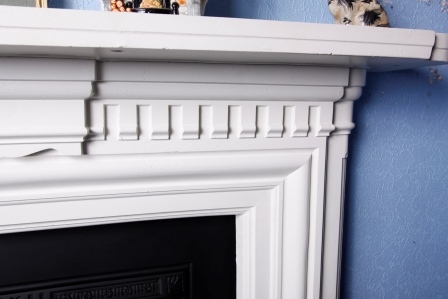 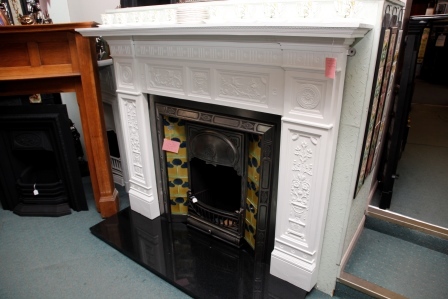 Victorian cast iron surround in highlight finish RD 152 456 for 1890. 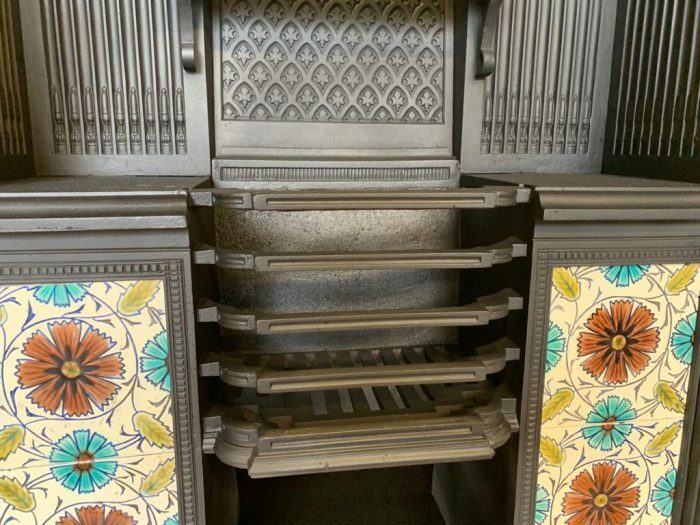 Shelf 62 Body 54 Height 50 Opening Height 38 Width 37.5 Inches. 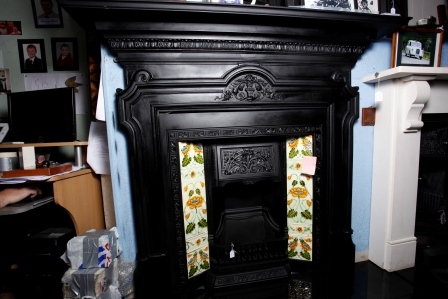 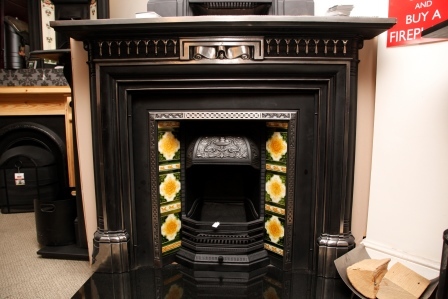 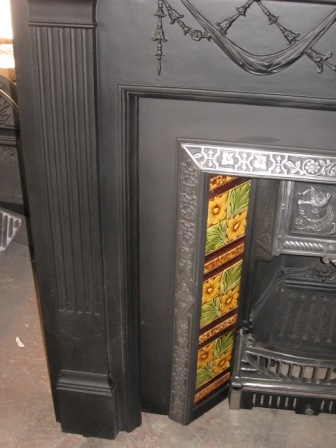 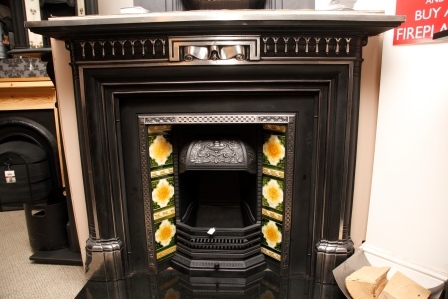 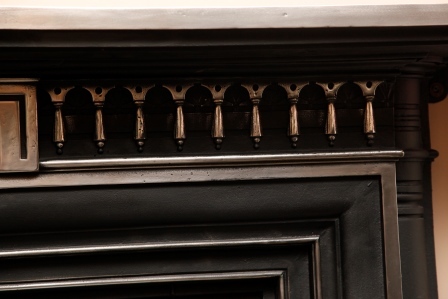 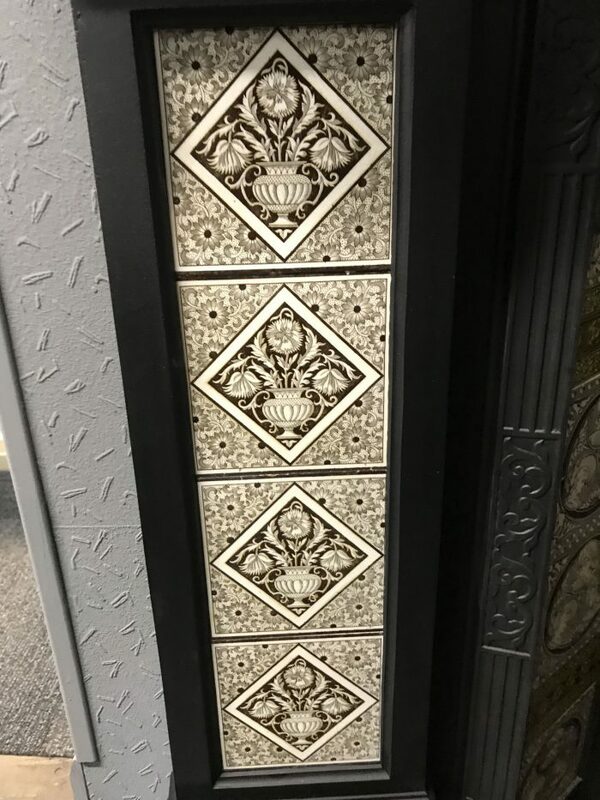 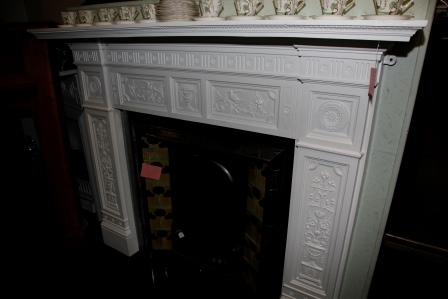 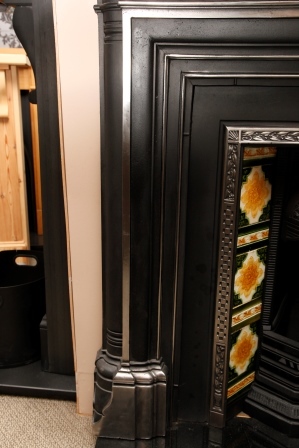 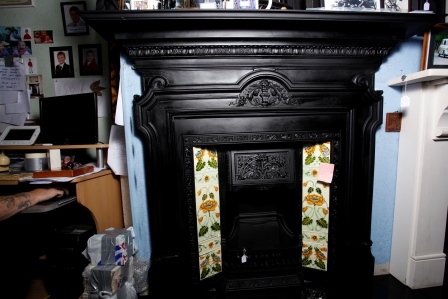 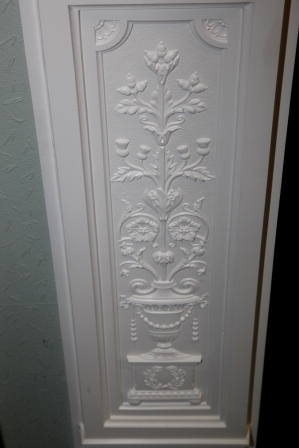 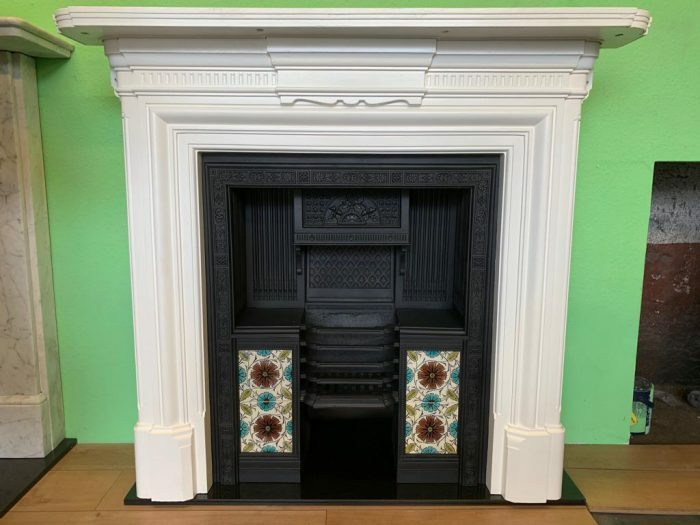 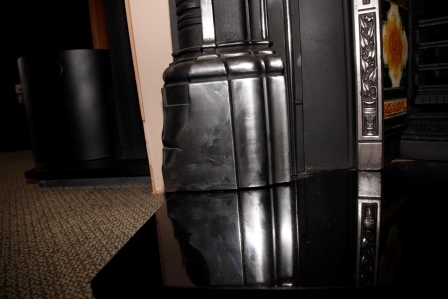 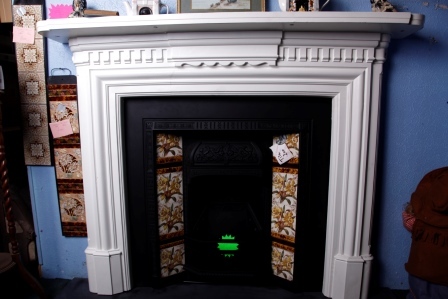 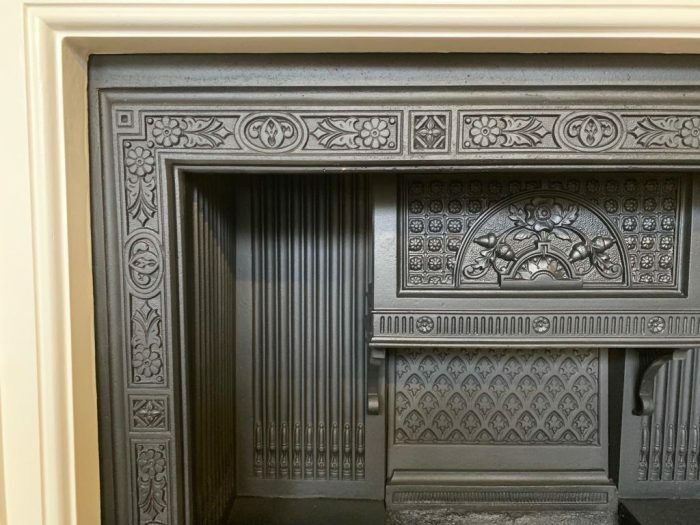 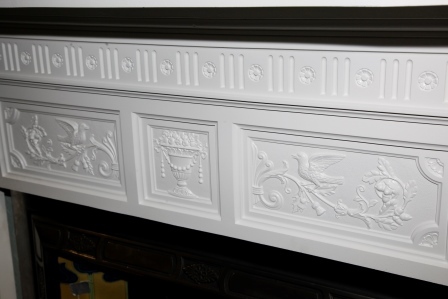 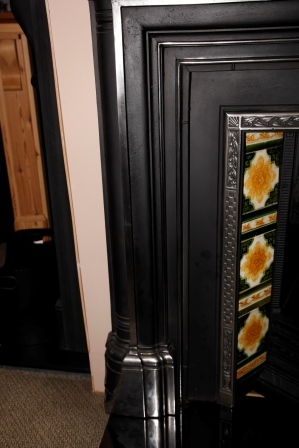 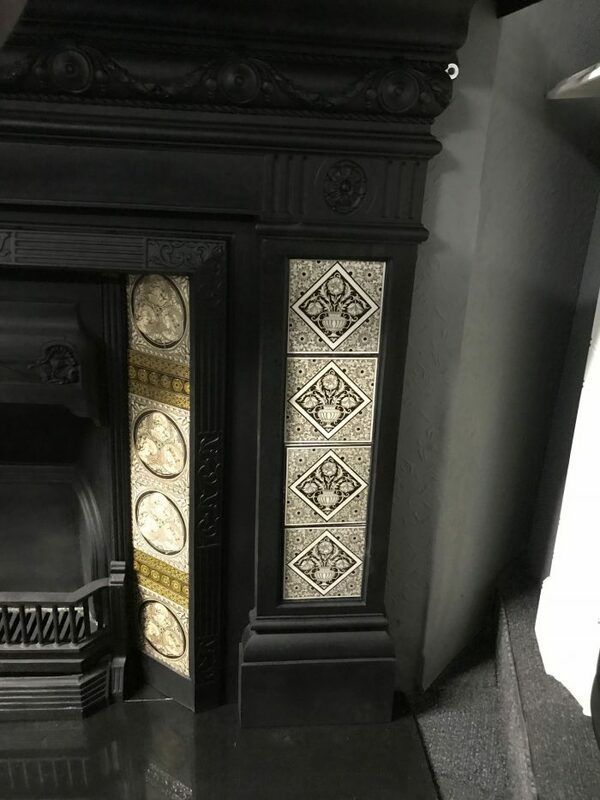 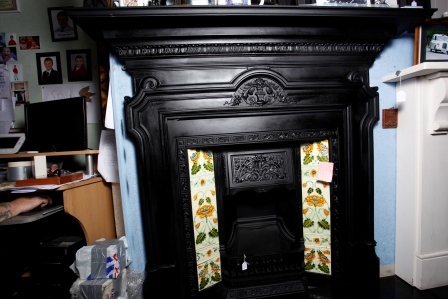 'The Beaconsfield' Victorian cast iron surround with 8 Minton tiles. 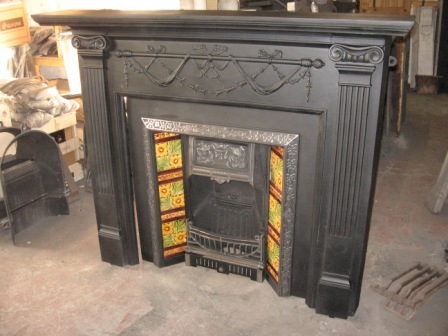 RD Lozenge for 29th June 1881.